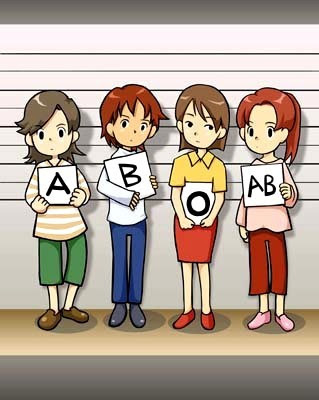 Based someone personality blood group. At Japan, forecast ttg more someone to be determined by blood group than zodiac or shio. Why? Allegedly, that blood group is prescribed by particular protein that build all cell at our body and therefore also determine our psychology. Really or not? 1 O (big appetite, cepet's eating again) hahaahha …. bener banget nih …. O (there are many ngambil hewani's protein, in essence daging2an) this jg bener …. AB (Krn is easily tired, therefore needs to look for agreeable activity and capacious cause).